Technology has a way of pushing us forward. There are so many things that are available to us now that we would have never thought possible a few years back and, regardless of which industry you consider, it is advancements in technology that pave the way for future changes. So in the week that Royal Caribbean announced that their third Quantum Class ship (a new generation of vessel that includes many examples of interactive technology), we thought we would take a look at a few other technological advancements that are sure to influence the future of travel. 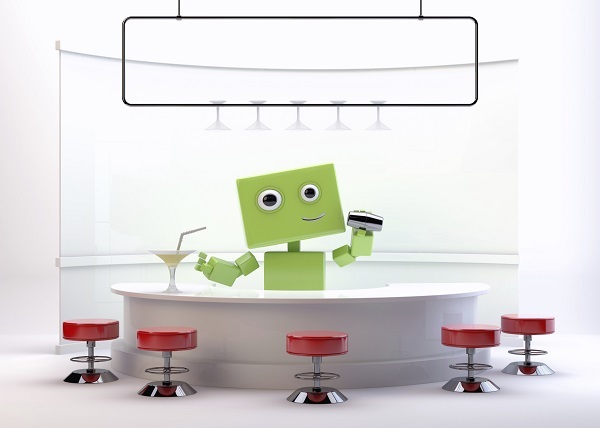 Robot bartenders are possibly the most intriguing and futuristic feature to be found on the above mentioned Royal Caribbean Quantum Class ships. Once on board one of these vessels, you can decide to take a trip to the Bionic Bar and see these cyborg servers in action. Guest will be able to simply order their drink from an IPad that each member of staff will carry and then watch in awe as the machines behind the bar begin to mix. This may seem like a bit of a gimmick, but there are plenty of other features on board that are perhaps a little more practical. Among these are the 80 inch LED screens that will allow passengers staying in inside cabins to enjoy an 'outside view' by way of a virtual balcony. A further useful introduction is the wristbands that guests will wear to help them gain access to their rooms and even use to pay for anything they buy whilst on board. 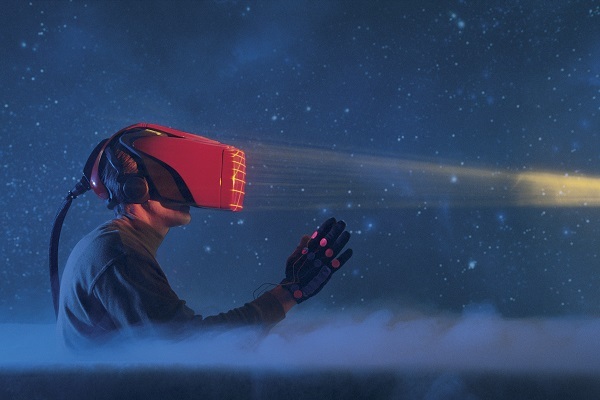 The Marriott group have teamed up with visual effects experts, Framestore, to create a virtual reality experience that can 'teleport' users to certain travel destinations. 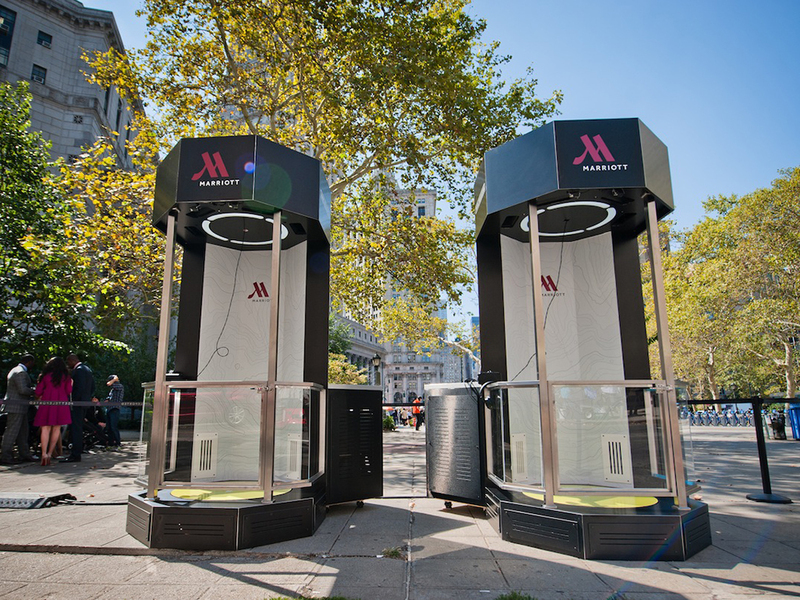 Months of design and testing have gone into the creation of these phone-box-like capsules that were unveiled this week and Marriott hopes that they will have an influence on the travel industry. To produce the experience, a virtual reality headset is used to display images that have been manually scanned from the exact locations that they represent, whilst effects such as pneumatics in the floor and water nozzles help to complete the effect. At the moment there are just two destinations to 'explore', a beach in Hawaii and the top of London's Tower 42, but this is likely to just be the beginning. Whilst this is clearly never going to be a replacement for actually travelling to these places, Marriott is excited about the entertainment possibilities that are clearly present and the idea that teleporters like this could be used to train travel agents and other sales staff on unfamiliar destinations. Just when you thought it was safe to come out from whatever it was that you were using to hide from the wearable tech invasion, Apple has gone and announced its first step into the Smartwatch market by unveiling the thoughtfully named Apple Watch. Included in a range of excellent features is the Silicon Valley giant's very own third party platform known as WatchKit. By using this, developers from different companies around the world can build apps that will integrate perfectly with the Apple Watch. Among the companies who have already taken up this opportunity are Starwood Hotels and American Airlines, which brings us on to why this technological advancement will have an impact on travel. 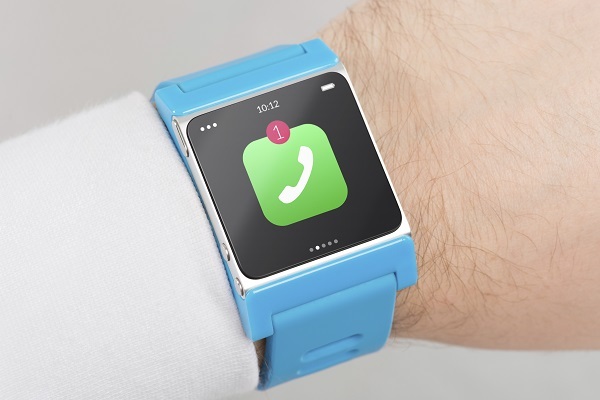 Both of these brands have created apps that will hopefully make going on holiday easier for wearable tech fans as they allow travellers to access their rooms and check-in for their flights with a simple wave of their wrist. Although it is early days, I'm sure there will be many more travel companies producing similar applications in the near future. Many people may be aware that driverless cars are already in the process of being produced and tested and could be on the roads in as little as six years. But did you know that the green light has recently been given for the development of captainless ships from 2015? 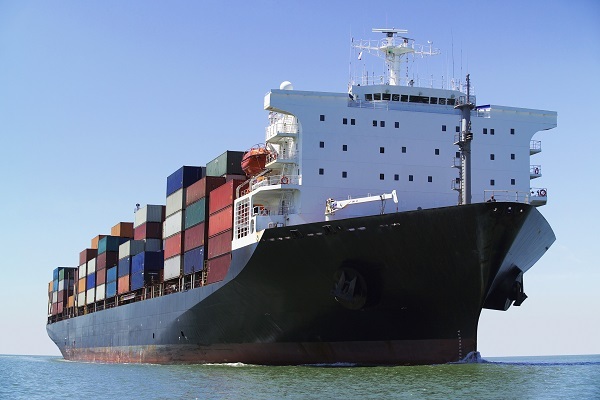 All the focus at the moment is on cargo ships in an attempt to try and solve the current issue of low numbers of people willing to take up a career at sea. Time spent away from family and the dangers of such a job have led to a shortage of personnel in the industry and it is thought that by developing ships that can be navigated from the shoreline this could be counteracted. A small crew will still be needed on board but many of the main tasks will be carried out in onshore offices, with the possibility that one person could control multiple vessels. Though all the talk has been about cargo ships so far, there seems to be little reason why the same technology couldn't be implemented within the ocean cruise liners of the future. Taking a step back into the present day, Fred.\ Holidays can help you plan a variety of different holidays. From tailor-made cruises to exciting city breaks, there may never be a technological substitute for the knowledge and expertise that a passionate travel agent such as Fred.\ has in abundance.